It’s no secret that the Virginia basketball team prides itself on defense. The foundation for Tony Bennett’s program and success year after year begins on that end of the floor. The Pack Line defense is attached firmly to the UVA brand. One statistic the Hoos use to track their defensive effectiveness is labeled a gap, a term they give to a string of three straight stops. It’s an appropriate nomer considering that the Pack Line defense is predicated on plugging up the gaps between defenders and forcing teams to score with contested shots from the perimeter. 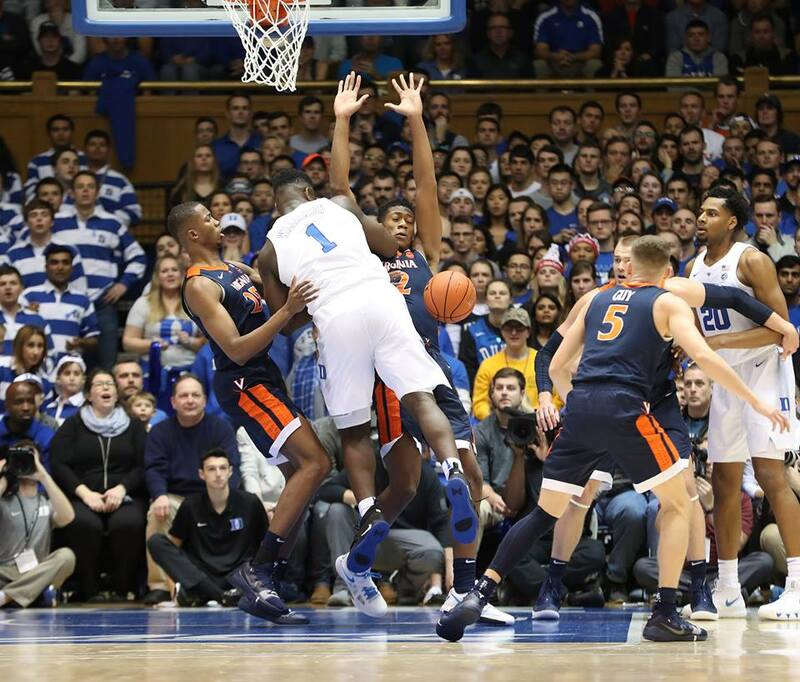 On Saturday night in Durham, Virginia lost 72-70 in a highly anticipated top 5 showdown with Duke. The biggest culprit in the defeat came through gap defense … both in the gaps on the court and in the tracking category. The Blue Devils unraveled what is usually a tight ball of yarn and once things were frayed a bit, they took advantage. They shot 51% for the game and blistering 63.2% in the second half alone. Dayton and Maryland had been the only teams to break 50% shooting this season, though in what may be a concern, Virginia Tech and Duke both shot 50% or better in the second half this week.